Stop by your local Walmart's health and beauty department. 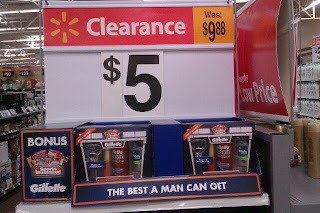 If you're lucky enough to find the Gillette Men's Gift Sets on CLEARANCE for $5, yay! Then, grab the $5 off Gillette coupon found in the June 16th Smart Source coupon insert and score for FREE!